September is the ninth month of the year and from the esoteric numerology point of view it relates to endings and new beginnings. In the symbolism of numbers there is no difference between the 1, the beginning of the cycle, and the 9, the end of the cycle, as both are represented by a circle with a dot at its centre. Energetically though the difference is substantial, as they convey a completely different intent and aim. Numbers are awareness, they bring with them the frequency through which life manifests itself and our numbers reflect the consciousness we were born with in order to manifest our soul mission and purpose in this life. Everything starts from the 1, an act of Will and Power, born out the great potential, which is the 0. The 0 may be compared to the Kabbalistic Ain Soph Aur (meaning “Limitless Light”), which is the state of all things before they make their initial manifestation – it is the ultimate cause of matter and force. 0 has no beginning and no end, it is the complete totality, the primal cause of existence and it holds the potential, which is the energy of what it might be. The Will or Power to manifest comes with number 1. The 1 is a shoot number from no number, it carries the creative energy, the flash of light coming out of the void in order to start the cycles of manifestation through all the numbers up to 9. Number 9 indicates the end of the lesson and it makes the way for a new one. The will represented by the 1 has gone through the different experiences expressed by 2, 3, 4, 5, 6, 7, 8 in order to gather the wisdom of the experience and rise to a new level of being, a new level of consciousness in the 9. The difference between the 1 and the 9 is that after having experienced all the different numerological cycles, we have cleared the original idea from all the personality attachments and in the 9 we may become our true Soul. It is by going back to the potential, the 0, that we find the new beginning: as we become ourselves, our soul, the personality (thinking, feeling behaviour) passes away. For this reason the 9 is the one that ought to be acting from Soul. Soul contains all the memories of the previous experiences, everything that has happened so far, so that it can be understood, digested and brought to a new level of consciousness in the next stage of our life. When we experience the 9 energy, we have to let go of our personality needs and act in the new direction emerging from within. The very interesting thing is that this month, which already holds the 9 energy, we will experience three 9-9-9 portals in order to speed up the process of change already triggered by the energy of year 2016. 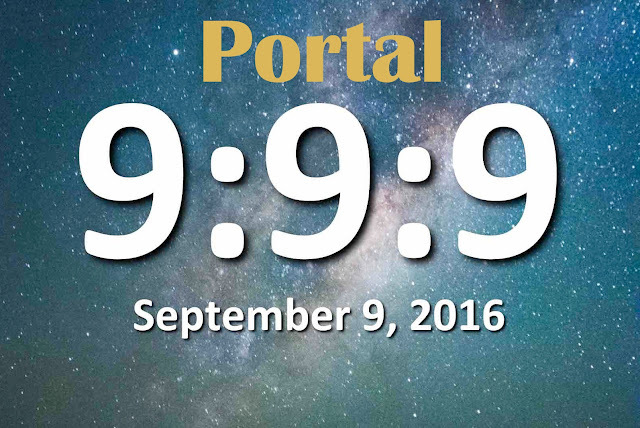 These three portals of the 9-9-9 that will open on 9, 18 and 27 September, will accelerate our process of awakening the energy of the soul allowing the light to reach our hearts. They will give us the opportunity to transmute the effects of the internal conflict in a new understanding. 2016 is a 9 (2+0+1+6), an ending of the past, of what we have been or we thought we were, in order to open up to the new. It holds the energy of the 20, which means Gestation and Giving Birth, and the power of the Tower, the sixteenth Tarot card in the Major Arcana, described as “The Road to Damascus Experience”, which is the crumbling away of all the old beliefs so that Spirit can reach the Heart of man. 9-9-9 signifies the completion of a life sequence, a passage of time where we have to let go of the old beliefs systems and ideas that we have about ourselves because they no longer belong to us and welcome the new. These three 9-9-9 Portals occurring on 9th, 18th and 27thSeptember will accelerate our process of awakening to the soul energy by allowing the Light to reach our hearts. They will give us the opportunity to transmute the effects of the inner conflict into a new understanding that may lead us through the road to Damascus experience. 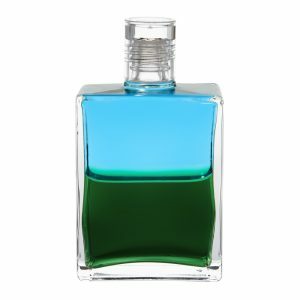 In the Aura-Soma® colour-care system the Equilibrium bottle number 9, turquoise over green, is called “The Crystal Cave”/ “The Transcendental Heart” /“The Heart within the Heart.” This colour combination highlights the possibility of a deeper communication of the heart from the depth of our being to reveal our potential and who we are and what we are here to do. «You will be told what you are to do,» the Lord told Paul. 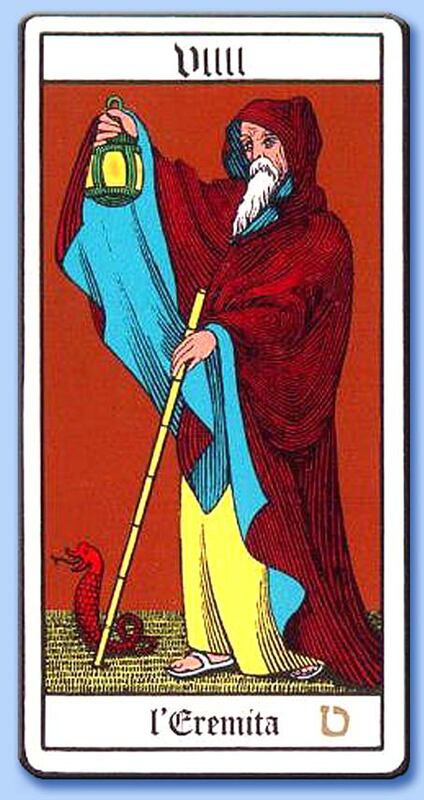 In the esoteric Tarot cards 9 relates to the Hermit. He is the one who prepares the path for those who choose to open their minds into introspection. He is depicted as an old man as it expresses something that it is going to die within us. He reminds us that we must experience an end to some levels of self (fame, recognition, social reward, ect.) to reappear as a soul. The Hermit is an incarnation to Saturn, the Father of Time. Time is a great judge of our lives and it will dissolve everything that isn’t true, so we can align to the truth of who we truly are. The hood does not allow him to look backwards or sideways because he has to keep looking within in order to allow his soul to transmute the darkness of the past experiences. The choice is personality and biology versus soul, while the old is crumbling away and the mind is watching it. 9-9-9 is 27/9. Number 2 is the inner emotional conflict of the personality, while number 7 is the new order coming from the soul (9). In esoteric numerology 27 is called “Birth of Wisdom”, “Wisdom through Feelings” expressing the heart of matter fusing with the Light of the soul. Saul of Tarsus was blinded by the light of Jesus, the soul. After receiving the prayer of Ananias (meaning “Yahweh is gracious” in Hebrew), scales fell from his eyes, and he was no longer blind. The new life is about to be revealed, it is a choice with no choice. We are at the end of the night and the darker the night, the brighter the dawn will be.